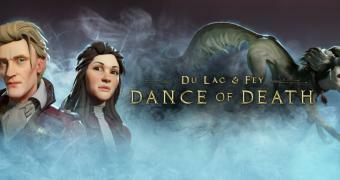 The new adventure game coming from English-based studio Salix Games, Dance of Death: Du Lac & Fey mixes Arthurian legends with historic details about Jack the Ripper and his victims. Although it’s a unique approach that should have guaranteed the success of the game, Dance of Death fails to reach a satisfactory standard. It’s not every day that we get to play an adventure game that tells the story of Sir Lancelot and Morgana Le Fey intertwined with the thrilling tale of London’s most prolific serial killer, Jack the Ripper. Not to mention that the developer promises to shed light upon previously untold stories from the Victorian era and we have the main ingredients of a great game.